Corridor tornado safe rooms are designed to put tornado protection as close as possible to the classrooms of a school or the offices of a building which lie along a corridor. The clear spans across corridors typically are small enough for prefabricated roof panels of the Remagen Safe Room System to span between the tops of the tornado safe room system’s walls placed within the existing corridor and anchored to a reinforced concrete foundation slab. 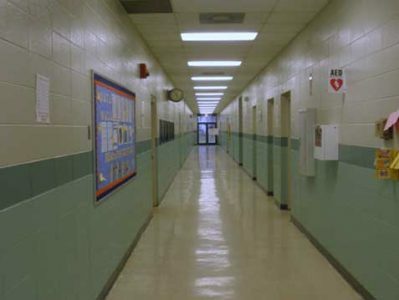 FEMA-compliant tornado doors, opening into the corridor and held in open positions under normal conditions, are aligned directly with existing classroom, restroom, utility room, and other doors. The hardened corridor and tornado doors create a community safe room with direct access from the occupied spaces each side of the corridor. Double, outward swing exit doors at the ends of the corridors are matched with FEMA-compliant double tornado doors which are held open under normal conditions. 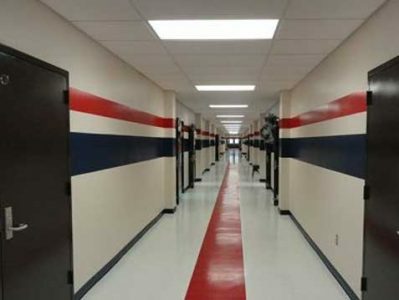 Three middle schools in Henry County, TN were retrofitted with corridor tornado shelters which currently shelter over 2,100 students and faculty. Retrofitting a corridor tornado safe room into this school is Remagen’s specialty. These Remagen school corridor tornado safe rooms are directly accessible from each classroom. Each classroom has a tornado door which remains held open during normal conditions. Triple school corridor tornado safe rooms were furnished for the three wings of this middle school. 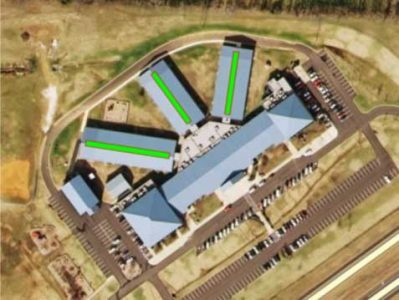 Ron Flanagan, Principal Planner and Grant Administrator, discusses the use of Remagen’s Tornado Safe Room retrofit system as a solution to providing existing schools shelter space in Oklahoma. The Remagen Safe Room System can quickly and easily harden an existing building without appreciably changing the character, architecture, or function of the existing facility. This type of tornado safe rooms is considerably cheaper than other type of shelter which require precast concrete or reinforced concrete masonry walls and reinforced concrete roof decks – 30% cheaper according to Oklahoma’s Principal Planner and Grant Administrator for school storm shelters, who called the Remagen Safe Rooms System Henry County, TN school corridor safe room concept “brilliant” and said “That is the solution” for sheltering schools against tornadoes. 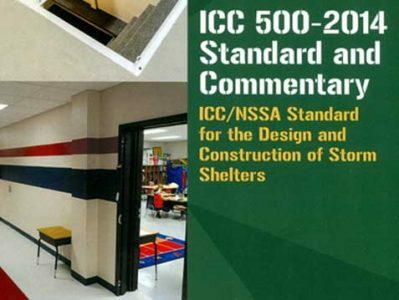 The Remagen Safe Room System meets the requirements of ICC 500 – 2014, ICC/NSSA Standard for the Design and Construction of Storm Shelters and FEMA P361 – 361, Design and Construction Guidance for Community Safe Rooms for 250 mph EF-5 tornadoes.